Lay prawns flat on chopping board and with a sharp knife cut them directly down the middle from the end of the tail to the top of the head. Mix lime zest, salt and sugar together in a bowl. 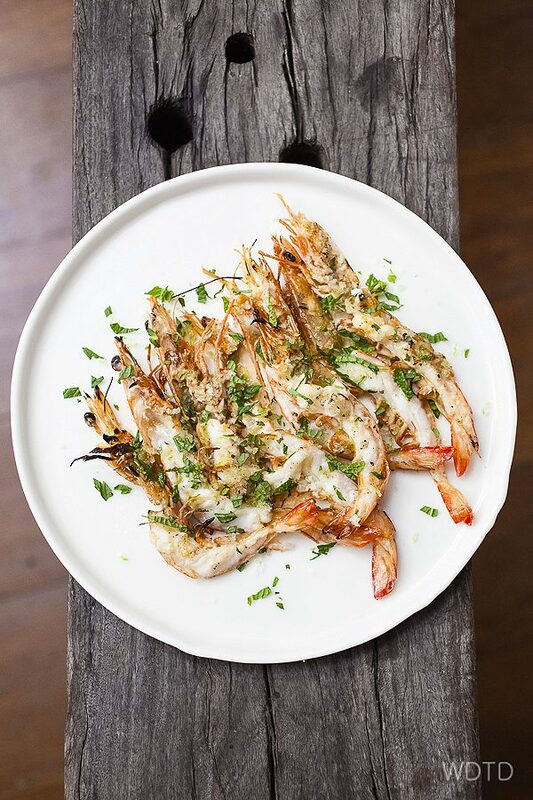 Drizzle olive oil on the prawns then cook on BBQ for 2 minutes per side or until just cooked through, being careful to not over cook. Plate prawns on serving platter with flesh facing up. Sprinkle with a little salt and sugar mixture, mint leaves and a squeeze of limes juice. This entry was posted in Mains, Starters, The DIshes and tagged lime zest, mint, mojito, prawn. Bookmark the permalink.